Amid escalating tensions over upcoming international court’s ruling on the South China Sea disputed areas, Beijing has kicked off maritime drills in the contested waters. 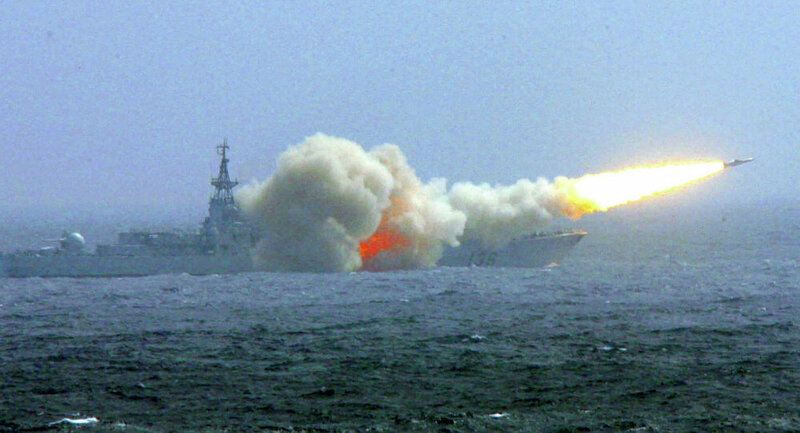 According to the PLA Daily, the Chinese military’s official newspaper, the state navy completed drills on Friday that engaged “live missiles” in the area between the Paracel Archipelago and Hainan Island. The vessels from the country’s northern, eastern and southern fleets took part in the exercises, the Defense Ministry reported. “The drill focused on air control operations, sea battles and anti-submarine warfare,” the website of China’s Ministry of Defense states. Beijing assumes almost all the South China Sea is its sovereign territory, despite overlapping territorial claims from other South Asian nations including Brunei, Malaysia, the Philippines, Taiwan and Vietnam. The ongoing trial was brought to the court in 2013 by the Philippines claiming China has no historical rights for some areas it considers its sovereign territory. Beijing has declined a participation in the trial, suggesting the disputes should be resolved through talks among interested countries without involvement of third parties. "China adheres to the position of settling disputes through negotiation and consultation with states directly concerned," state-run news agency Xinhua reiterated Beijing’s official position on the issue on Saturday. However, the United States supports the Philippines in the standoff in an apparent attempt to meddle in the row. 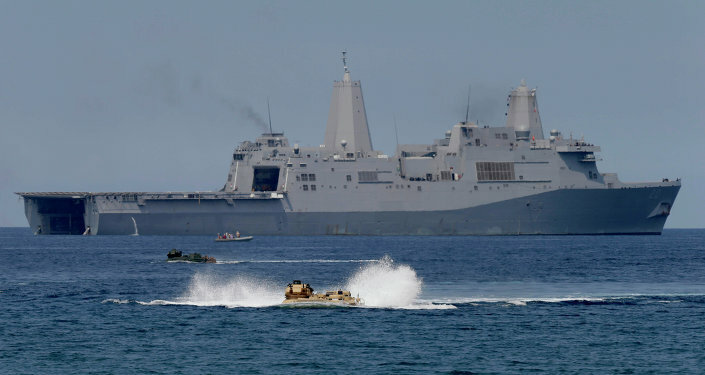 Washington has recently sent three destroyers into the South China Sea in a move of "deliberate show of force" in the run up to court decision, American military experts said. Earlier, the USS John C. Stennis and the USS Ronald Reagan along with their carrier strike groups (CSGs), air defense and anti-ship squadrons were deployed in the region. Some experts labeled Washington’s flexing of muscles as demonstration of power in “the best (or perhaps it would be more appropriate to say – the worst) traditions of the Cold War." China has warned all the provocateurs from facilitating the tensions, saying Beijing won’t take a “single step back” in the conflict and expressed readiness to strike back if the situation deteriorated. The Chinese military has at its disposal HQ-9 SAMs and ASCMs missiles stationed in the Spratly Islands. Beijing could also turn artificial islands it had constructed on the coral reefs in the South China Sea into military bases, installing missile systems there, experts suggest. Meanwhile, the Philippines made a step toward downgrading the conflict on Friday. The country’s Foreign Secretary Perfecto Yasay said that Manila hopes for direct negotiations with Beijing after The Hague. He also suggested both nations could share natural resources preserved in the disputed areas.